IN RECENT REPORTS, there has been talk of doing away with agriculture education due to budget cuts. Personally, I don’t see why agriculture is not a mandated class. Back in the day, there were classes like home economics and shop that taught us some life skills, but again, due to budget cuts, those classes are no longer available. Ag is the only course offered to middle school and high school students that has everything they learn from core classes rolled into one curriculum. When doing equations for feed supplements, daily weight gain, etc., you’re using mathematics. When doing punnett squares and looking at genetics for livestock breeding, you’re utilizing biology. Fertilizing crops and checking your pH level is all chemistry, and reading and communications is common practice in the course. Aside from your basic core classes, students are also taught life skills, such as how to change a tire, check your oil, manage finances, and run a small business. What other subject do you see being offered to students that has all of those and more included in the lesson plans? Absolutely none. So why take it out of the curriculum? I believe if music/fine arts is mandatory, then agriculture should be as well. Instead of making the teachers stress out about their job security, there needs to be support for them while sharing the importance of their classes. FFA.org states that there are more than 11,000 ag teachers in the U.S., and 23 percent of them have five or fewer years of teaching experience. 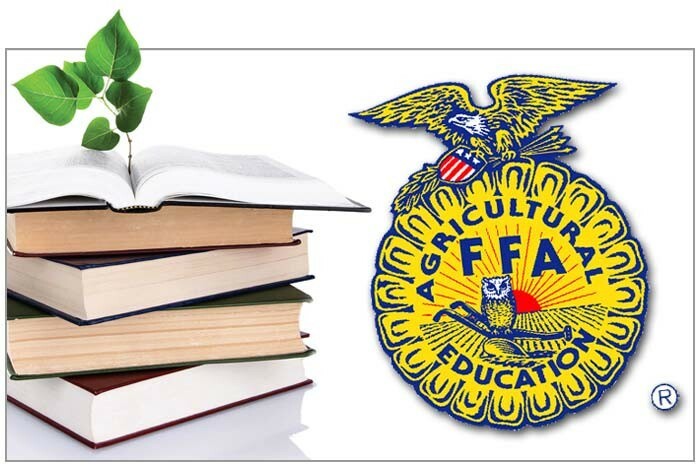 Is ag education something you are passionate about? Is it something you just know you’re going to be doing someday? If so, I encourage you to join the National Teach Ag Campaign. If you have ever heard of the National Association of Agricultural Educators, then I’m positive you have heard of this campaign. NAAE.org has tons of information on its website under the “Teaching Agriculture” tab, then forwarding to “Why Teach Ag? & FAQ.” These frequently asked questions are great to look at if you are a high school junior or senior, especially if you interested in teaching and you have some very important decisions to be making soon about your future career path. As you’re reading this article, and hopefully later looking up the National Teach Ag Campaign and drinking your morning cup of Joe, make sure to thank a Robusta or Arabica coffee farmer! ABOUT THE AUTHOR: Abby Crawford is currently enrolled at Warner University, majoring in Agriculture Studies with hopes to go into either the agriculture education or communications field. She is the former president of the Haines City High School FFA chapter as well as the voice behind 97 Country’s segment, “Ag Time with Abby,” which airs the first Friday of every month during the Breakfast Club with Roger and Melissa. Abby is also the 2014 Polk County Farm Bureau Youth Speech Contest Winner. For questions, FFA news, or FFA story ideas, email Abby at abbigailreis@gmail.com.